Logan has been climbing for over 25 years. Growing up in Canmore he was lucky enough to be taught by Wendy Rockefeller, then dragged around by his occasionally overenthusiastic parents! He gained lots of experience at the local gym (The V'sion) and climbed with friends through his teenage years. 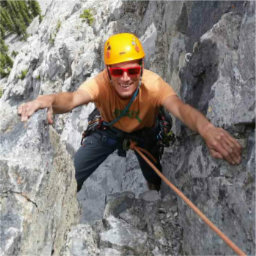 When he's not on a yearly pilgrimage to Skaha Bluffs, he's instructing climbing, whitewater kayaking, Nordic skiing, whitewater canoeing, mountain biking and occasionally stand up paddle boarding! His other interests include back-country skiing and alpine skiing, reading, and oh so many board games!